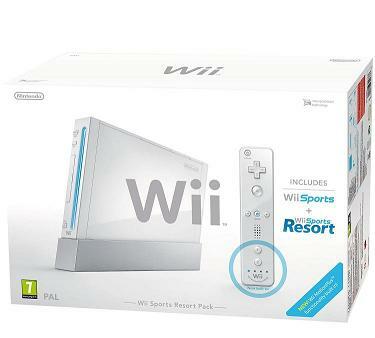 To prove the importance of the Wii remote, Nintendo packed 5 multi-player games with the bundle. Golf, tennis, boxing, bowling, and baseball are all included. For each game, you need to swing the remote in a specific way, and the game interprets your every move almost magically. Gently nudge the remote to send a bowling bowl down the aisle, or swing it with full force to intercept a tennis ball. Basic as the graphics may be, these games are highly addictive and really get the fun going at parties where 3-4 players get involved. While tennis can be played on the Wii with very small movements, boxing forces you to make the right movements at the right time. You will hold both the nun-chuck and the remote to represent your hands and sidestep and strike as you transfer from blocking your opponent’s attacks to raining a fury of blows in his direction. Add a personal touch to all 5 games by creating a custom Mii Channel character. Initially created as a joke at Nintendo, the idea proved very popular, resulting in Nintendo implementing the feature so that everyone can make custom characters. 5 awesome games are included with the Wii at no additional cost! The Wii gaming console attracts people of all ages to enjoy some fun games, regardless if they are in the same house or if they’re located in different countries. The game console’s name supports this idea, with the unique spelling representing two players playing side by side as “I’s”. The Wii’s motion-sensitive game remote/controller and Wi-Fi capability take it to a level never before seen on video game consoles. As is the case with the release of every gaming system, much of the hype is focused on the specifications. The Wii has 512 MB of internal memory, two USB ports, and an SD memory card slot. The Wii delivers incredible performance, thanks to the “Broadway” and “Hollywood”, a processing chip and a graphics chip-set, developed by BIM and ATI, respectively. The Wii replaces the tray with a self-loading bay that plays both Game Cube disks and 12 cm optical disks. Of course, the biggest feature of the Wii is the controller, also known as the Wii Remote. With a shape similar to that of a TV remote, this new controller is easy to use for both beginners and professionals. Special sensors detect the remote’s positioning in 3D space, allowing you to swing tennis rackets or steer the wheal of a race-car by using your hand motion, instead of thumbs. In addition, interactive sound is offered via tiny built-in speakers on the remote. The Wii remote also has the “rumble” feature, which is a vibration representing force within the game. The controller also has a port that accepts various accessories, such as a device called the “Nun-chuck”, which has trigger buttons, as well as an analog thumb-stick. If you prefer the traditional controller, an adapter is available that fits on the Wii remote. Up to four Bluetooth wireless remotes can be connected to the Wii at any time. With Wii’s backward compatibility, you don’t need to keep your old Nintendo game console around. 20 years of games are all available for you to play on the Wii, not to mention the superb new games that are being developed specifically for the Wii. Through the system’s virtual store, you can purchase Nintendo games from the 1980’s to present. Some new games that will soon be released for the Wii include The Legend of Zelda 13: Twilight Princess, Super Mario Galaxy, Final Fantasy: Crystal Chronicles, and Metroid Prime 3. A select number of new Wii games in development will take advantage of Nintendo’s new wireless gaming service, dubbed the WiiConnect24. This network allows players to connect and play against each other, allow the download of game updates, and the ability to link to the Nintendo DS portable gaming console. The Wii will not only change the way games are played, but will also bring new players to the video game world by presenting a variety of information, communication, and entertainment. The Wii channels will turn it into a console that the whole family will appreciate. Disc Channel: You can play both Game Cube and Wii games on this channel. Mii Channel: Create custom portraits for your characters on this channel. Each remote can store a portrait, which will display on other people’s Wii consoles, as well. Photo Channel: View digital photos that you have stored on an SD card on this channel. This channel also allows you to edit photos in a variety of ways and create slide-shows. Furthermore, you even have the option of adding an MP3 song to the slide-show. You an also send photos to other Wii users. Forecast Channel: While connected to the Internet, you can check local and global weather forecasts for free on this channel. News Channel: This channel allows you to view breaking news via the WiiConnect24 service, which automatically sends in updates for free. Wii Shop Channel: Here you can either buy Wii points, or use them to download games onto the integrated Virtual Console. Points can also be used to download the Opera web browser. Internet Channel: This future turns the Wii into a TV, a game console, and a computer, all in one. After downloading the Opera web browser, you can surf the web without leaving the couch. Wii Message Board: Messages that are written on post-its and stuck onto the fridge are now obsolete. With the Wii’s calendar-based system for messages, reminding family members of a task is easier than ever. Using Wiiconnect24, you can even send messages to people outside your home. As if that wasn’t enough, you can send text messages and multi-media messages to mobile phone users. The Wii is a revolution in entertainment. For many years, games have become more popular, and also more complex. The Wii changes the way you can play games, minimizing hassle and maximizing entertainment. The Wii will take you deeper into the game than you could have imagined with the motion-sensitive controller. Whether you are a new gamer or an old-school gamer, you are sure to enjoy the new Nintendo Wii.